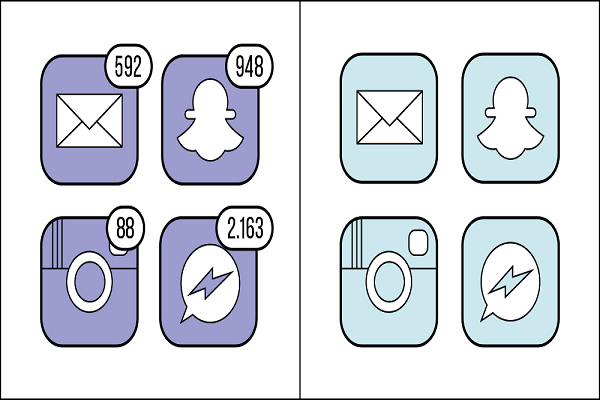 Those little notifications on smartphones are stressing you out. Either they are stressing you out because you want to get rid of the notifications (inbox zero) or because the list keeps on growing and will never go away. I have always been in the Inbox Zero camp, taking measures to get my count of unread messages down to zero as quickly as possible. While I admit that I have really been more like Inbox 25 over the past 8 years, the total number of unread items in my email at any given time is usually 0. I can’t stand those little notifications. Others can’t stand the notifications for another reason: It’s a constant reminder they are falling behind and may be missing something within those tens of thousands of notifications staring at them. While there are methods and technologies for dealing with both inbox zero obsession and inbox ten-thousand guilt, I have recently started to discover a simple method that helps me put email into perspective. There is no better email client out there, trust me on this one. What makes Outlook so good? First of all, it works perfectly with all email services. I can read my gmail account on iOS using Microsoft software. We truly live in a brave new world. Next, it allows me to change my settings within the app and allows you to control pretty much any setting you need. Last, the killer feature: Focused Inbox. Let me describe why this feature works so well. On any given day, you may receive 10 automated emails for every 1 email sent by a human (might be lower if you work in professional services). Most email clients give these messages equal weight. But they are far from equal. Emails from personal contacts about business needs should be given higher priority. We should focus on those first. That is exactly what Outlook for iOS does. I receive only the emails that were sent to me by humans, and that is the only time I receive a notification. These notifications only show up on important emails, with bulk emails going into another folder. I can choose to review these other emails on my phone, or wait until I am back to a computer to send a larger format message. Within hours of downloading and configuring Outlook, my workflow with email began to change. While I am out and about on my phone, I only see the emails that people sent me personally. When I am near a computer, I can see all other emails and file away as needed. This simple change, the focused inbox, has allowed me to take a vacation from my email without all of the stress of feeling I missed out on something important. Want some focus back? Get the Outlook app for your phone! You get paid how much?